Burton Custom Snowboard Bindings 2012: Looks and feels like a pro, but for the smaller budget rider, the Burton Custom Snowboard Bindings still throw down. Total comfort and control are a must with the Burton Custom Snowboard Bindings thanks to the lightweight and anatomically accurate Living Hinge™ highback and consistent single-component baseplates. 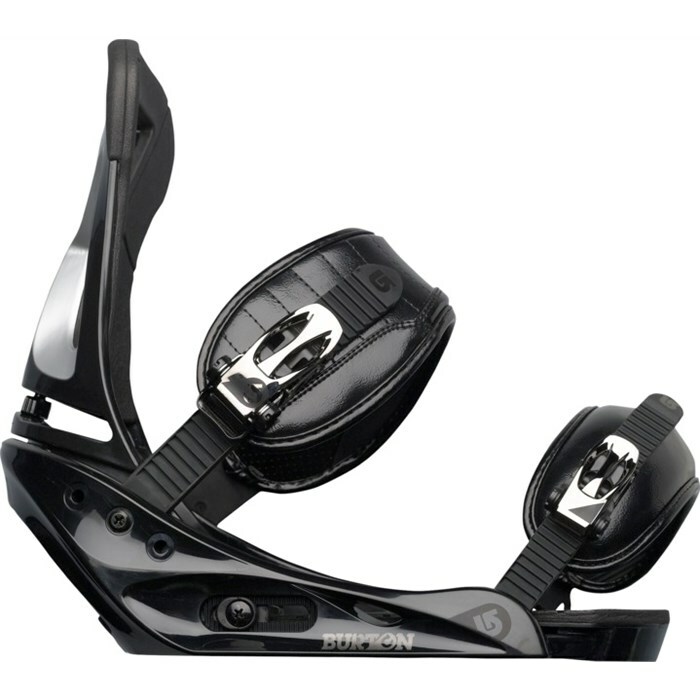 Buttery and fun, the Burton Custom Snowboard Bindings always deliver. FullBED Cushioning System and Under Baseplate Cushioning are built for full comfort underfoot, while still allowing a responsive ride. NEW Canted Living Hinge™ Highback eliminates hardware and weight while allowing you to adjust your forward lean and highback rotation independently. The Canted design is anatomically accurate, ergonomically designed to mirror the contours of your left and right legs for a more natural connection.